The South American Fibrafort F210 is smart looking fibreglass/polyurethane composite bowrider with a roomy interior, plenty of standard features and versatile seating layout. The F210 proved agile performer with a fun drive. 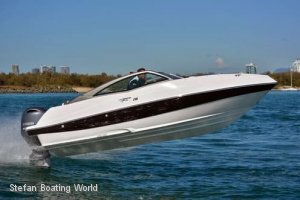 Fibrafort is a relatively unknown name in the Australian marine market, but this Brazilian-based fibreglass boat manufacturer is one of the leading brands in its home country, and has representation in 43 countries around the world. Priced from: $54,990 including a Yamaha 115hp longshaft (20") four-stroke outboard, oceanic single axle galvanised steel braked trailer, bimini, inshore safety gear pack, and boat and trailer registrations. All models are manufactured to exceed European standards and constructed using a fibreglass/polyurethane composite to achieve a durable, hard wearing, yet attractive finish. For safety and seaworthiness, the hulls are injected with closed cell foam to provide positive buoyancy, equivalent to our Level Flotation standard. This foam is also used to add stiffness and rigidity to each hull structure and to suppress hull noise and patter when running underway in choppy water. In the Fibrafort boat range, there are some 15 models. They range from the 4.8m outboard-powered 160 bowrider through to the superb F400 Gran Coupe, a twin screw luxury 12m power cruiser that would look quite at home moored up alongside the super yachts in the marinas along the French Riviera. We ran a previous news item, in fact, about the Fibrafort F400 being available through Boating Syndications Australia. But while the flagship F400 Gran Coupe shows off Fibrafort's impressive design and manufacturing capability, the bowriders and runabouts in the 5.0-7.0m size range are the company's best-selling models. In Australia, Fibrafort boats have been available for a few years, but have yet to really make a mark. Current Fibrafort dealer, Stefan Boating World, is keen to change that and is now importing a range of models best suited to local boating applications. The first of the Fibraforts offered to us for testing is the F210 Bowrider. This is a huge selling model in its home country and around the world, and it is hoped this practical, well appointed craft will do equally well Down Under. Fibrafort dealer, Stefan Boating World, is keen to get more bums in boats so to speak, so they are offering the new Fibrafort F210 with competitively priced starter packages. 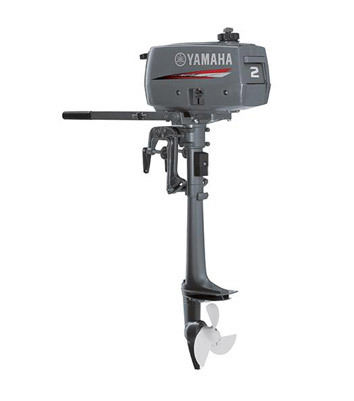 Coupled with a Yamaha 115hp four-stroke outboard and Oceanic Single axle braked trailer, safety gear and registrations, the F210 can be yours for $54,990. 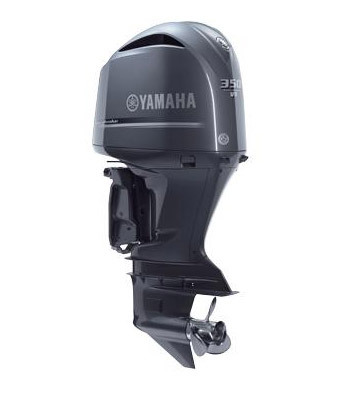 That's a great price considering the F210 is a 20-footer loaded with standard gear. The full list of standard equipment can be readily viewed on the Fibrafort and Stefan Boating World websites, but some of the good stuff includes the starboard side sink with faucet and 28 litre freshwater tank, stern shower, padded rear seating/lounge, removable cooler/ice box, roomy bilge/storage compartment under the rear seats, cup holders and storage lockers all over the place, rear boarding platforms and telescopic ladder, navigation lighting, and a fully moulded, easy care interior with non-slip floor surface. Our test boat package was standard, but for the addition of set of camper covers (not shown), and an engine upgrade to the larger 150hp Yamaha four-stroke outboard. 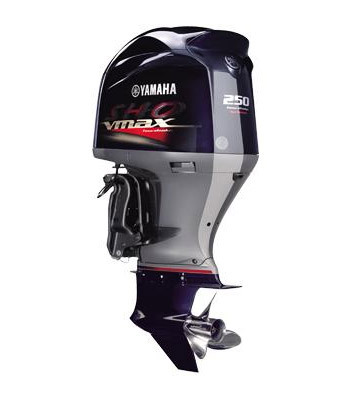 With this maximum power outboard engine fitted, the Fibrafort F210's package price lifts to $61,740. The F210 is a traditional bowrider with a U-shaped seating area in the bow, a sleek, low-profile centre opening windscreen, dual pedestal seats at the helm, and a large rear cockpit with ample seating. The bow seating area is nicely appointed, but disappointingly compact for a 6.0m plus bowrider. You could seat three people up forward but it will be a bit of a squeeze -- so it is best for two adults or three kids. The bow seating is also designed so that you are encouraged to sit and face either forward, or directly aft, as there are no back-rests along the sides. Instead, Fibrafort has used this side space to fit separate mouldings with built-in drink holders and provision for a set of stereo speakers. Unlike many imported bowrider boats, the Fibrafort has a decent sized anchor well, along with a stainless steel cleat on the aft wall of the anchor well, and two recessed side cleats on each side of the bow. Other bow features include navigation lights, low-set handrails and storage bins under each of the three bow seats. Back at the helm Fibrafort has opted for a pair of deluxe vinyl-upholstered chairs mounted on pedestals rather than the back-to-back seating set-up you see on some competitor models. That said there is no shortage of cockpit seating as there is an elaborate lounge set-up running across the transom. The helm and co-pilot chairs are adjustable in that they swivel 360 degrees and slide fore and aft. The helm chair also has a flip-up/retractable front bolster so you can move it back and make space for standing up before the helm. That said, the Fibrafort is best and most comfortable to drive while seated as the windscreen, steering wheel and throttle then fall comfortably to hand. The moulded black polyurethane helm and dash fascia inserts are a nice touch too. The matt black colour suppresses glare enabling a clear view of the engine gauges and instruments even in bright sun light. On the port side, the dash insert/moulding has a series of storage bins for cell phones, car keys, etc, along with two good sized cup holders. In the rear cockpit of the Fibrafort the seating can be re-arranged into a couple of different layouts. The standard configuration has the seating facing forward, but you can also fold down the back-rest to create a wide, flat seating/reclining area. The back-rest then doubles as a bench seat facing aft - over the port side boarding platform. Beneath the moulded rear seating area is a series of storage bins and lockers, including a battery locker under the port side and access to a deep, combined bilge/storage area under the centre seat cushion. There is an additional moulded side seat to starboard, under which is an insulated ice box. A separate, removable ice box is also included, strapped into place behind the port side co-pilot seat. Between the rear lounge and starboard side seat there is step-through access to the boarding platform and telescopic boarding ladder. There is little freeboard and nothing to hold onto here however - so you would need to take care when walking through to the stern in anything but calm seas. Under the centre of the cockpit floor is a locker for accessing the 100 litre fuel tank and 28 litre water tank. The latter services the starboard side sink/wash basin with freshwater tap and the pull-out rear shower. Bowrider runabouts are generally purchased as social boats for day boating, for zooming about the bay and harbour with family or friends aboard. They need to be good fun. They need to be speedy and they need to handle well. Above all, however, a sports bowrider needs to put a grin on your face when you drive it -- and the Fibrafort F210 does not let you down in this regard. 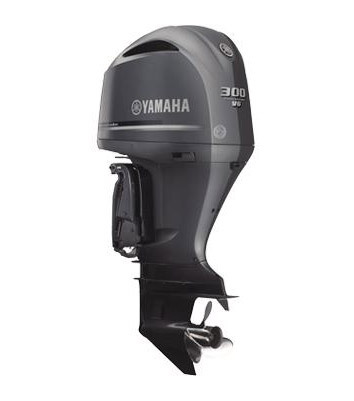 We suspect it may not be quite as much fun with the entry 115hp engine on the transom, but with the maximum power Yamaha 150hp four-stroke outboard the F210 is ripper sports boat. The 19 degree vee hull is relatively conventional, although it does have stepped outer chines which are said to improve handling and maneuverability. True or otherwise, we can confirm the hull performs well through slalom turns at speed and the ride is comfortable, quiet, and very stable. The F210 was also quick, accelerating to a top speed of 40 knots with plenty of power and acceleration in the low and mid range. The test rig had more than enough grunt for social skiing and wake boarding... Or just for zipping about. We mentioned earlier that the F210 is one of Fibrafort's best-selling models around the world. It is not difficult to understand why. The F210 combines great handling and performance with a practical interior layout, sound build quality and a very competitive package price. Price as tested: $62,990 including a Yamaha 150hp longshaft (20") four-stroke outboard, Oceanic tandem axle galvanised steel braked trailer, bimini, camper covers, inshore safety gear pack, boat and trailer registrations.